From the strains of the beloved Jesus Loves Even Me to the final piano quote of Jesus Loves Me, this pleasant anthem is a melodic reminder of the Savior's unconditional love. 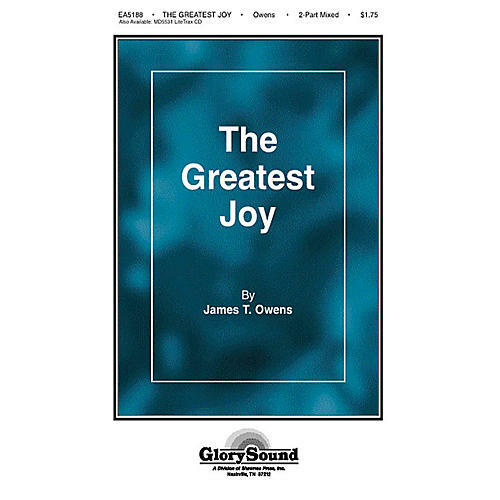 James T. Owens' memorable original tune will almost sing itself making this a perfect choice for occasions when rehearsal time is short but expectations are high. Add flugelhorn or soprano sax (played up an octive) for a more contemporary effect.